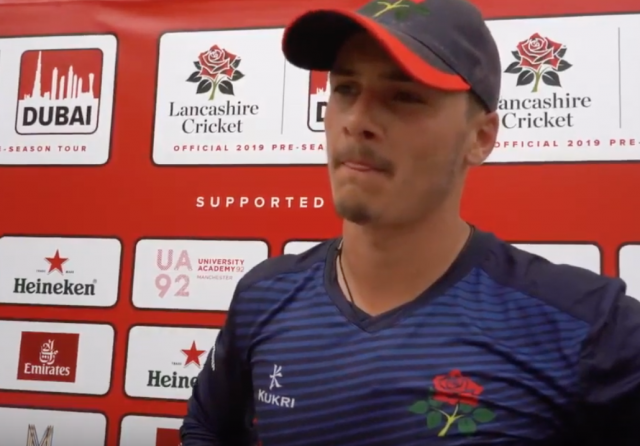 Lancashire’s remain in command of their first match of the season against Middlesex at Lord’s, while fellow relegated side Worcestershire are on the brink of a win against Leicestershire. Here, Deep Extra Cover rounds up the action from day three in Division Two. 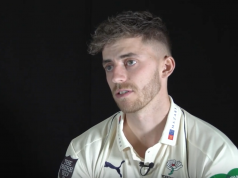 Rob Jones hit his second first-class century – both coming against Middlesex – to help Lancashire build on the strong position given to them by Haseeb Hameed’s century on day two. Jones shared a century stand with Dane Vilas and went on to score 122 from 235 balls. Lancashire claimed a first-innings lead of 162. James Anderson and Graham Onions claimed a wicket apiece, either side of a half-century stand between Nick Gubbins and Steve Eskinazi, with Middlesex closing 68-2, 94 behind. STUMPS | The final ball of the day is sent for 4⃣ by Wright. Worcestershire forced Leicestershire to follow on at Grace Road as Josh Tongue and Ed Barnard shared seven wickets to claim a lead of 251. Leicestershire, who picked up an opening-round win last week, are staring down the barrel of defeat, with the visitors taking four wickets – Charlie Morris claiming the first three with just 31 on the board. The Foxes closed 132-4, 199 behind. 🕰 STUMPS: This pair of @laggies74 & @LaurieEvans32 see us through to the close having added 45 for the 4th wicket. Just 22 runs separated Durham and Sussex after the first innings, with the hosts hoping to set a challenging target at Chester-le-Street. 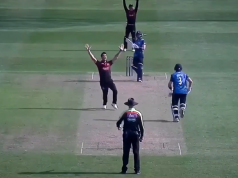 But David Wiese claimed 5-43 as Sussex bowled Durham out for 189 – leaving a target of 213. The chase is progressing nicely for Sussex at 144-3, with Stiaan Van Zyl unbeaten on 66. Jason Gillespie’s side require another 68 runs to win. Glamorgan, having hammered over 400 runs on the first day, posted a first innings total of 570-8 – with Marnus Labuschagne, Billy Root and Kiran Carlson all hitting centuries. In return, Northants’ openers Ricardo Vasconcelos (184) and Rob Newton (105) put on 303 for the first wicket and the visitors closed 522-4. This game is going nowhere fast. STUMPS: Good recovery from Lace (48*) and Madsen (41*) to guide #DCCC to 97-2 at the close. 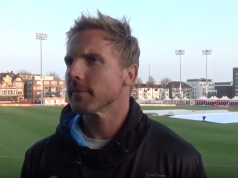 Gareth Roderick hit 98 as Gloucestershire made 350 to seal a 59-run lead over Derbyshire. The visitors are bidding to set up a victory push, closing 97-2 with a lead of 38.